The 1920s art deco auditorium is known for its musical program, the Louisiana Hayride, on which Elvis Presley performed in 1954. Other greats who performed here include Hank Williams, Johnny Cash, and Johnny Horton. 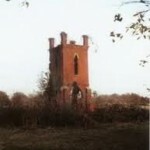 It is said to be haunted by an apparition of a young man who sits in the seats. He is thought to be the ghost of a boxer who died in a car accident on the way to his first match. Another ghost appears as a face peering through the windows in the doors that lead to the floor seats. Doors have been reported to open and close by themselves, and an elderly tour guide reported feeling an unseen force take her hand and place it safely on the banister as she was using the stairs. Not believing she needed the aid of the banister, she removed her hand, and she was picked up and placed at the end of the steps. She always used the handrail from that time on. Yet another ghost resides in the basement, where witnesses have heard her weeping. She is thought to be a former pregnant guest who went into labor during a show. Some maintain that Elvis appears on the stage at times, and others have reported seeing a pretty blonde lady backstage, whose identity is unknown. The auditorium has been featured on TV’s Ghost Hunters. I went to the Louisiana National Guard Youth Challenge Program August 17th,2014 and this is where we had our graduation on January 24th,2015. We all got there an hour or 2 early to practice for our graduation ceremony and while me and some friends stood in line waiting to be guided to the stage for our graduation practice…we noticed what looked as if a man in a white sports coat and black slacks was walking across the stage holding a guitar. I came home and did some research and it was brought to my knowledge that there are several people that claim to have seen Elvis Presley’s ghost wondering throughout the auditorium. I also found out that the popular tv show Ghost Hunters has been here to investigate the chilling stories of this said to be “haunted” auditorium and claim to have seen ghostly figures and sounds that are explained as what sounds to be noticed as Elvis Presley singing. To this day me and my friends think that what we saw on that stage that day could have been the king of rock and roll Elvis Presley’s ghost. For all readers, if you would like to contact me for more information on that day I experienced, please feel free to contact me @ kalebmills207@gmail.com or call/text @ 318-982-4352. I worked as a member of the stagehands union (Local #2980 from 1980 through 1989 and frequently worked shows at the Municipal Auditorium. My duties would often include checking the dressing rooms, both used and unused, throughout the entire building, in the wee hours of the morning, after all the shows had loaded out. There is no scarier place in all of Shreveport. Time distortion was a common experience walking down those deserted hallways, smelling that old paint. One time I was installing new hemp rope on their fly system onstage and I was standing on the loading rail way up high about 40′ above the stage, when I know I felt a strange presence and felt a strong wind blow across my skin, but all the windows were closed and the other person with whom I was working said he never felt a thing.